In the wee hours of November 17th and18th , the Leonids meteor shower should be at its peak. 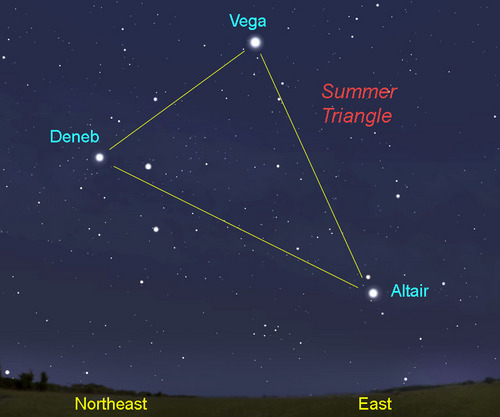 Being close to moonless both nights, and a hope for cloudless skies, the meteor shower. Debris from comet Temple Tuttle each time it swings by the sun every 33 years is pulled into the earth's gravitational pull and pieces usually smaller than size of a pea come hurtling to earth. Meteors can be seen at just about any time, but certain times of the year, the Earth in its orbit around the sun is position to travel through debris fields. This is why meteor showers have predictable dates. The fiery display is caused as friction between the object and the Earth's atmosphere ignites the particles. Seldom do these pieces make it to the earth's surface. Consider the Earth's rotation on its axis, and a person's mind's eye may be able to envision that after midnight the darkened side of the earth faces forward in its orbit and therefore runs face first into the debris. Hence better viewing after midnight. As a prelude to the Leonids, SCCF is offering an evening of sky watching tips at the Bailey Homestead Preserve on November 16. People are asked to bring a dew proof blanket, bean bag chair, or some other way to make yourself comfortable to sit back and look up at the sky. We will be on the lumpy grass that stretches between the Native Landscape and Garden Center's Honey House and the Devitt Pond. Everyone will be asked to turn off the flashlights once the program begins. . There's things to be learned about rods and cones, night vision and when to best see the Milky Way. There are great soap opera stories handed down through generations of Romans and oral tradition about the stars' beginning to be from Native Americans. Join us the Bailey Homestead Preserve at 8 pm, on November 16. If it is cloudy the program will be postponed. It's called the visible 20 star minimum. This is a pilot program so no registration is necessary. Bring whatever you think you will need to spend a few hours looking up- chair, flashlight, insect repellent, jacket, water, a snack.